Rotorua is located in a volcanic fissure, a population of nearly six million people, is the most densely populated areas of the New Zealand Maori and geothermal landscape. About 1350, a Maori found Rotoiti Lake, and found another lake, hence named as Rotorua, that the meaning of the second lake. The representatives landscape of Rotorua is the hot springs, geysers, boiling hot bubbling mud, green forests, meadows, clear lakes and authentic Maori culture. Rotorua is the southern hemisphere’s most famous mud volcano and hot spring area, numerous hot springs and mud pools number everywhere vapor to diffuse the outgoing bursts rich smell of sulfur, and visitors to the geothermal zone, as if the clouds. The Whakarewarewa fountain, has the timing of the eruption, the dyke water column from the fountain pouring out spectacular. Looking from the air by helicopter, five major geothermal area is a mysterious foggy. Billowing fountain, beating mud, non stop smoking ground hole, resembles a landscape with strange lunar surface. Enjoying hot spring bath at bubble geothermal springs is not to be missed, lying on the steaming hot springs, both digestion fatigue and relaxation, comfort and relief of distress. Hot spring bath has many types, each different water contains minerals that can alleviate disease and pain, and to comfort people physically and mentally. Rotorua is a blend of history and culture of the Maori land, a long history of Maori history and unique culture process worth visitors to enjoy slowly. Specializes in geothermal cooking food by Maori, tourists in Rotorua can taste authentic stone hot pot, hot pot on stone that is by geothermal baking hot with putting thin stones into the cave, then braised and cooked food, unique flavour . Rotorua is one of New Zealand’s famous rural scenery spots. Here has bright and clean lakes, suitable for a variety of water sports, such as moving whitewater rafting, and quiet as lake fishing and so on. Other activities such as hiking, horseback riding, air tours, etc., a lot of ways. Rotorua natural environment, Rotorua is located in the central North Island of New Zealand, the climate is warm and humid, beautiful natural scenery. An area of 2700 square kilometers, Lake Rotorua is located in the crater, covers an area of 83 square kilometers and 10 kilometers across at its widest point, is New Zealand’s third-largest lake. The city’s population is about 70,000. Rotorua traffic transport facilities, 457 km from the capital, Wellington, 234 kilometers from Auckland.  Its roads, air traffic network direct access to the major cities of the New Zealand national. Rotorua Airport transform in 1991, annual passenger traffic of 20 million passengers, now daily direct flights to various international ports. Called the Rotorua economy city in the southern hemisphere’s most famous active volcanoes and hot springs area, territory size lakes throughout frequent geothermal activity, and fountains, sometimes water jets up to over 30 meters, foggy, spectacular Hot Spring City, is a world-famous tourist health resort. Tourism thus become a pillar industry for 20% of the jobs in the city. Forestry, animal husbandry is also more developed, more mature timber processing industry training base, the main export products are wood, wool, and beef. The annual Rotorua sheep, wool exhibition is one of the most important exhibition of the New Zealand wool industry, annually attracts thousands of international visitors and businessmen to participate actively to promote the export of wool products. Rotorua Culture, Rotorua, New Zealand has a 500-year history of the city. About one-third of the New Zealand Maori live here, the city of New Zealand’s immigration and indigenous Maori model of peaceful coexistence. It combines a modern city with traditional culture, both show the municipal museum of the history of modern immigration and cultural development, but also save the intact traditional Maori village, as well as a more complete ancient building, community activities ceremony. Attractions worth a visit can basically be divided into three: the first one is the perimeter of the city center, including the Tudor Tower, the Government Garden and Ohinemutu from the lakeshore area Maori set venue. 2nd is School of Maori Arts and geothermal areas in South Whakarewarewa, this area ejected 20-30 feet of water per hour of geysers (Pohutu Greyser), wonders can be seen, there are Maori Village worth a visit. The 3rd is the surrounding area of Ngongotaha, visitors can take a cable car to the top of the hill, Lookout beautiful scenery or sightseeing in the foothills of the ranch the Rainbow Farm to experience traditional farm life in New Zealand.